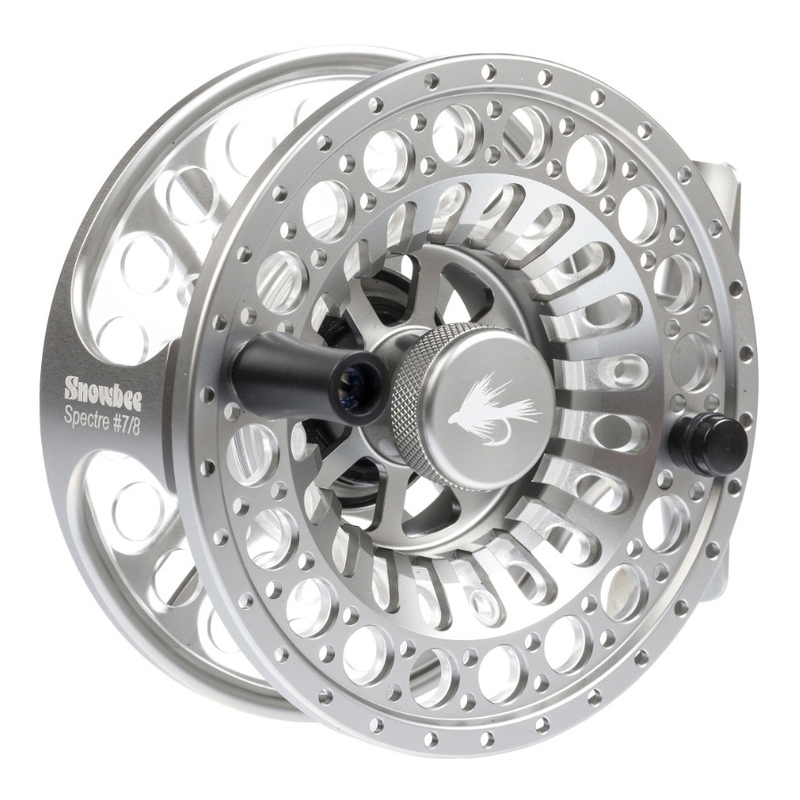 Snowbee Spectre Cassette Fly Reel #5/6. The popular #5/6 & #7/8 models are now available in a cassette spool version. Built to the same exacting standards as the current reels, but fitted with a precision moulded, polycarbonate cassette spool. Giving the same line capacity as the standard model, this offers the advantage of quick-change, inexpensive and lightweight cassette spools, so favoured by competition fishermen. Purpose-designed so it will ‘retro-fit’ existing Spectre reels. The new Spectre range is an ultra-lightweight, precision CNC machined aluminium reel at an amazing price! Machined from high grade, aircraft aluminium bar stock, the unique design removes the maximum amount of metal, whilst retaining optimum strength and rigidity, for an ultra-light weight and better rod/reel balance. The multi-disc cork and stainless steel centre drag, offers superb performance, with minimal start-up inertia, while the large arbor design allows faster retrieve, more consistent drag performance and minimal line memory. The stainless steel main spindle coupled with the one-way roller clutch bearing, provides instant drag control, when that ‘smash take’ catches you by surprise. Extra hard paint finish for salt-water and chip resistance, quick release spool and easy left to right hand conversion, makes the ‘Stealth’ the perfect choice, for long, untroubled fishing use. The extended range covers all requirements from the smallest brook fishing up to salmon, sea-trout and saltwater. Complete with a neoprene reel case, this range offers unmatched performance coupled with value for money.